TransCanada representatives were in Ottawa again yesterday to push their tar sands pipeline at a ‘Open House’ held in North Gower. 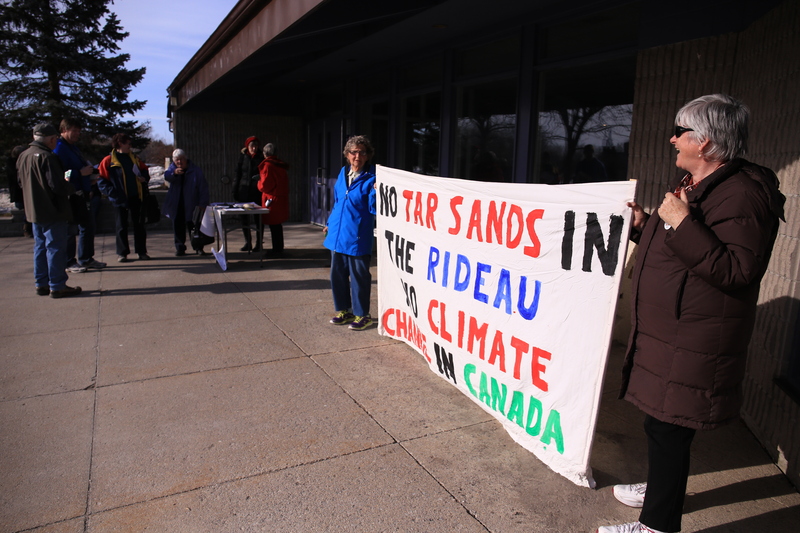 However, Ecology Ottawa staff and volunteers were joined by other groups – including Ottawa’s famous Raging Grannies – to make sure residents would hear more critical perspectives on the pipeline. An estimated half of the participants to the Open House came to chat with critics of the pipeline, and many of them ended up signing a petition rejecting the pipeline – including many people who had the pipeline going through their property. During a lull in conversations on the inside of the negotiations, the Raging Grannies sprang into action, and interrupted the proceedings to deliver three songs to the people gathered. And as always, check out www.TarFree613.ca for more information and to sign our petition! Keep it up ladiesvand any agebgroups that can follow in your slippers!